FLY FISHING FAST FORWARD !!! After a LONG and COLD Montana winter, it is time to fish forward! 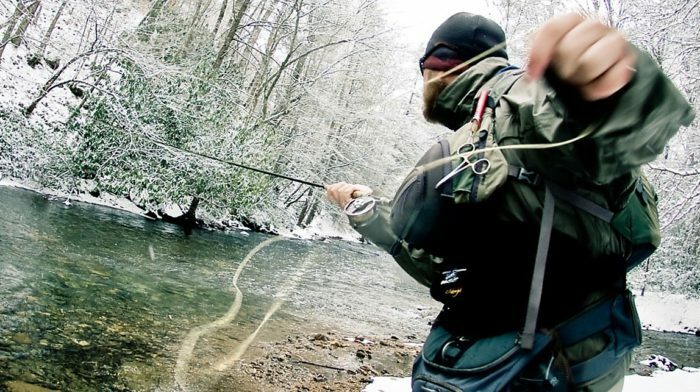 You should have been tying flies, organizing your gear and equipment, and planning your trips. Maybe some athletic training will give you the strength to stand in the cold and fast Montana rivers. Spring fly fishing can be great fun! At least that is what some people say. Even if the sun is shining, the trees and plants are greening, and the air is full of fragrances and fly’s, the truth may be different than you expected. Spring in Montana is COLD!!! It can snow anytime. The snowmelt is also ice cold. Most days rarely top out at over 50 degrees or so. As the sun rises and sets, the temperature will be consistently COLD! The trick is to dress properly. Make sure that your waders or boos do not leak! If they do, fix them or buy a new, warmer, pair. Consider layering when you dress. Polar fleece is your friend! Warm hats, gloves, and socks are critical. Feet, fingers, and faces are critical. These 3 areas will determine if you fish or not. Comfort is everything when spring fishing. Once the water temperatures rise over 50 degrees, things will begin to improve. You can begin to remove some layers and the fish will be more active and feeding. Plan shorter trips at first. Full day float trips can become a cold adventure. Try walking and wading first. Once you get your comfort zone in gear, fish longer and harder. For more Montana Grant, find him by the fire at www.montanagrantfishing.com.